I Skate, Therefore I Am: Hello Skater Girl says Hello Again! This is the message I just received from Julian Bleecker, the mastermind below Hello Skater Girl. Yes. Hello. 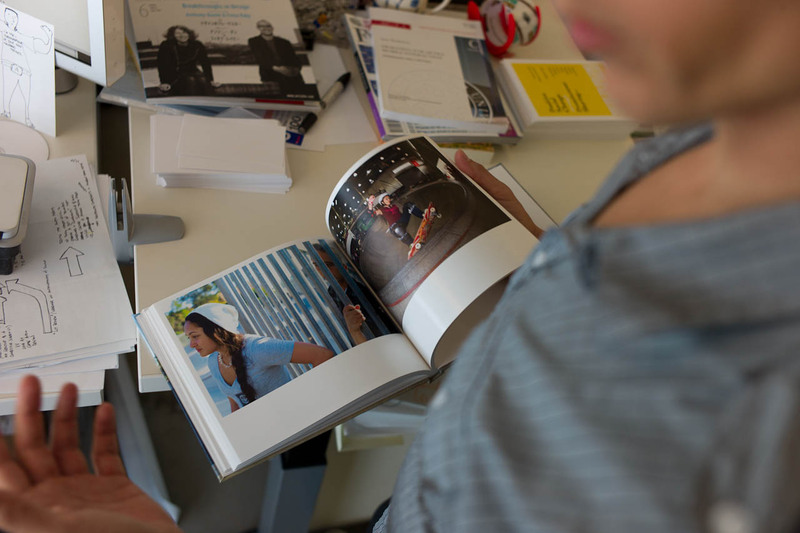 It's Julian here to give you an update on my photo book project, Hello Skater Girl. I'm about half-way through the campaign and just a hair more than half-way to covering the cost of printing books and photo rewards. That's awesome and nerve-wracking at the same time. Maybe you can help make it more awesome than nerve-wracking. I'm not asking for a hand-out — this is a real thing. I'm publishing a book. If I was going through an old-fashioned publisher, they'd put a bunch of copies of the book in a store. Doing it myself and going direct to friends gives me lots more creative control. This'll be more than an uninspired print-on-demand thing. There'll be a hand-made-ness to it. If you've already contributed — thanks! I can't wait for you to see the project completed.